Young children learn by imagining and doing. The process of pretend play builds essential developmental skills; it promotes social skills, develops language and communication skills, and supports emotional development and self-expression. 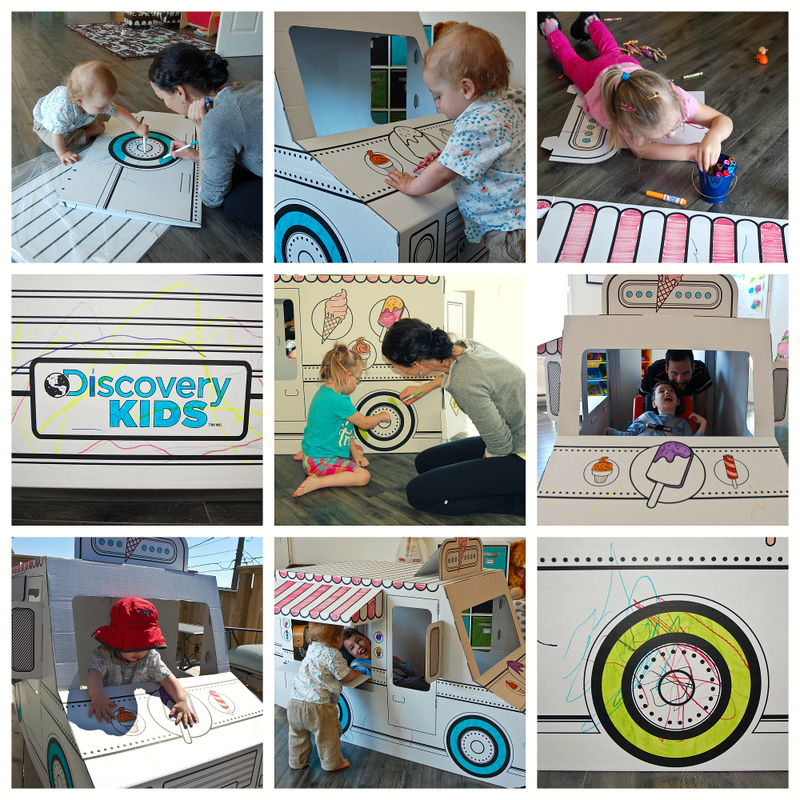 We recently introduced our children to the Discovery Kids cardboard Ice Cream Truck! We coloured some of the pieces, assembled the truck, coloured some more.. Our children have had hours of fun with this! They were free to colour and decorate however they wanted, and then had fun pretending to sell ice cream (and pizza and cookies)! The ice cream truck features an interactive dashboard and steering wheel, open windows, rear doors and side mirrors. It is made from eco-friendly cardboard, so when we are all done with it, this Ice Cream Truck is 100% recyclable! I actually found this at Dominion when picking up groceries one day!